1stAmender - Gaming Journalism is Corrupt - Is It Lost Forever? Gaming journalism has been on the subject for criticism for some time. It has shown over and over that the news for gaming can no longer be trusted. 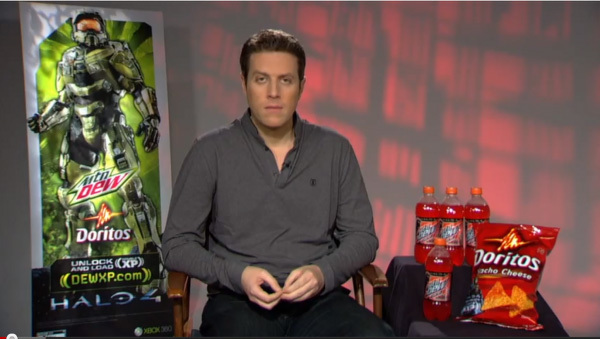 It showed this through all facets of existence of gaming journalism. Any avid gamer would easily find it apparent and it doesn't need to be pointed out for just about anyone who consumes its products. With that being said, there are several points that have been corrupt for a long time and hasn't changed and nor will it change till there is a real stance against these companies. 1. Video game ratings are grossly polar to what users actually think. Taking a look at this image it is no question as to what is going on here. Users and actual paid journalists are not really going to be eliciting the same mantra. This exists as gaming journalists in general are paid to write articles and may or may not write out of passion for the series. If a AAA highly funded game has the advertising bucks to make it happen, then so be it. Even if a game is blatantly and unanimously a bad game it doesn't matter, all you need is a little cash to turn a 2 into at least a 6. 2. 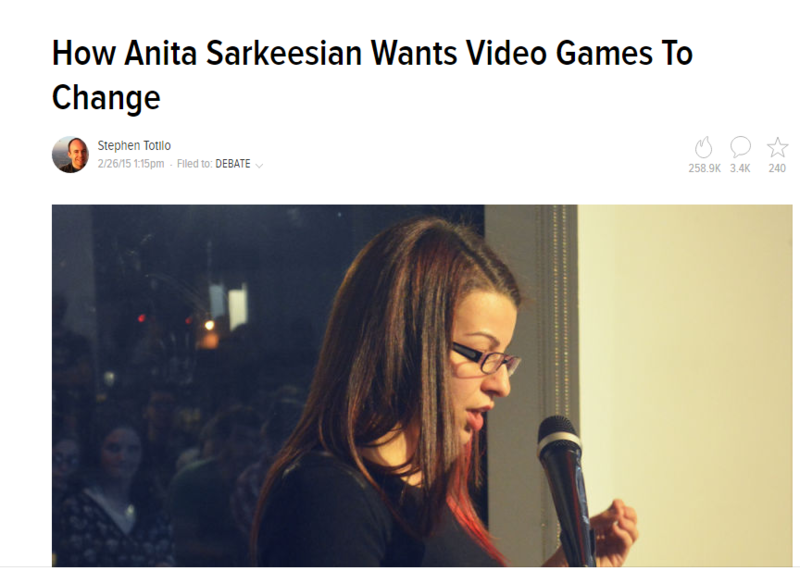 Video game journalism forcefully pushing an odd feminist agenda where there is no place for politics. 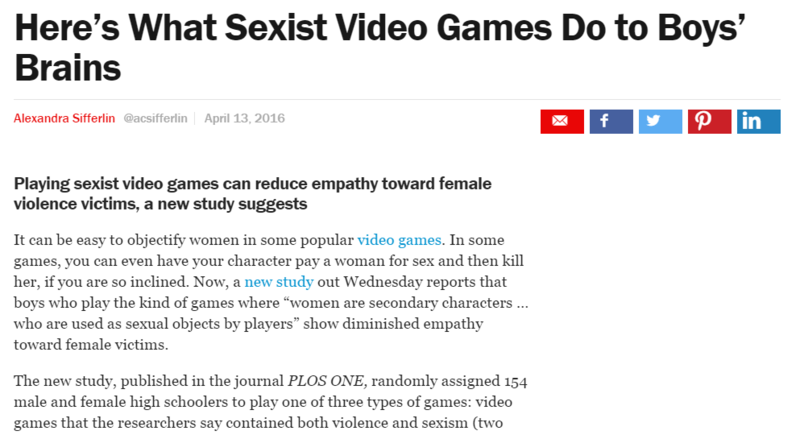 Gamers in general are not sexist slobs who hate women. You have a wide myriad of people that exist in the gaming populace who all have differing opinions. But the gaming industry and the media is portraying it as an influence to change a group of people who mean no harm and just wish to play games with their fellow players. When there is the influence of a specific agenda it paints an otherwise false picture of what the reality really is. 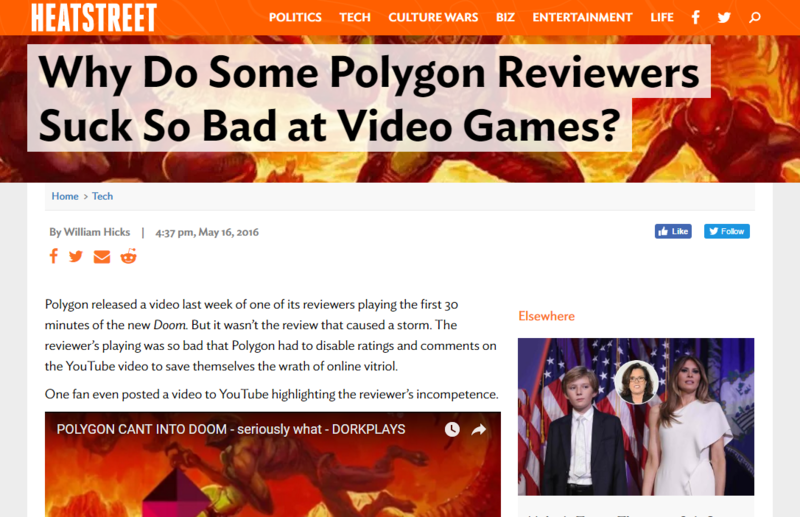 There are of course a lot more examples of this existing on even more reputable sites than Kotaku. Even someone like Time Magazine is not immune to creating blatant falsehoods and corruption. 3. A lot of journalists don't even research or are into gaming themselves. I don't have to point out that in fact a lot of so called researched "journalists" seem to be outputting something that really doesn't pertain to reality as often times gamers scratch their head on what they just read and think: "WTF did I just read?" It isn't hard to point out for the avid gamer. They take one read at something and then find out just how "experienced" or well researched that person is and find out blatant falsehoods throughout or a very shallow viewpoint on an otherwise decent article. With all of this creating such a bleak future for any real journalism happening, there is always an answer even in the darkest of days. You can be the answer to an otherwise bleak horizon if you are passionate enough. Check out the video below to see what I am talking about.